HarperCollins is proud to present its new range of best-loved, essential classics. 'He felt that in this crisis his laws of life were useless. Whatever he had learned of himself was here of no avail. He was an unknown quantity.' 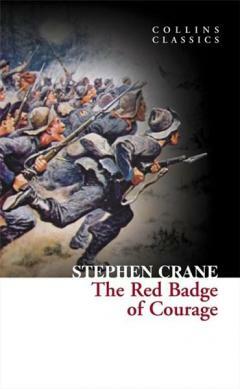 Following one soldier's journey from naive recruit to hardened survivor, The Red Badge of Courage is a vivid and powerfully psychological take on the American Civil War. Fighting for the Union army, Henry Fleming is thrown into a bloody war where the harsh realities and horrors of battle quickly become evident. Fearful, occasionally vain, but always viewing the war with honest eyes, Henry eventually comes to thrive as a soldier in combat, and it is with a a new conscience and outlook that he matures into manhood.